As part of the Catholic Health System, St. Joseph Hospital has a long history of providing care to Western New York. 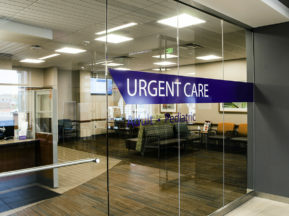 Since its inception, the hospital has undergone several renovation projects to increase services to the community including a re-engineered and reinvented emergency care department that implemented the latest models of emergency medicine with advanced technology. 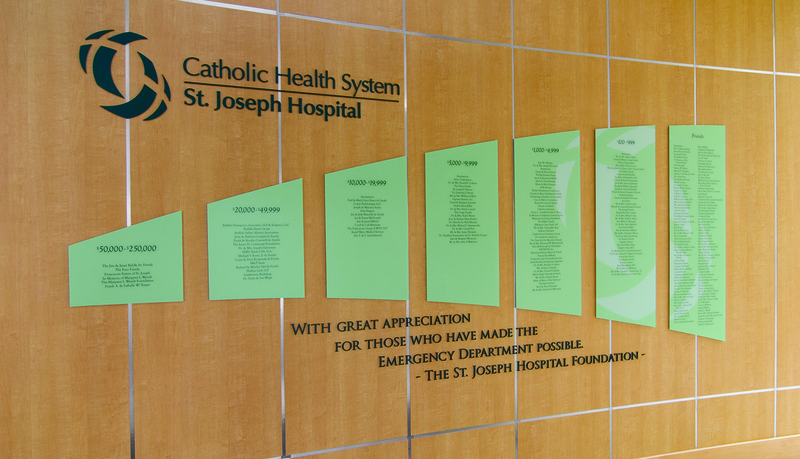 On April 1, 2009, the St. Joseph Hospital became known as Sisters of Charity Hospital, St. Joseph Campus. 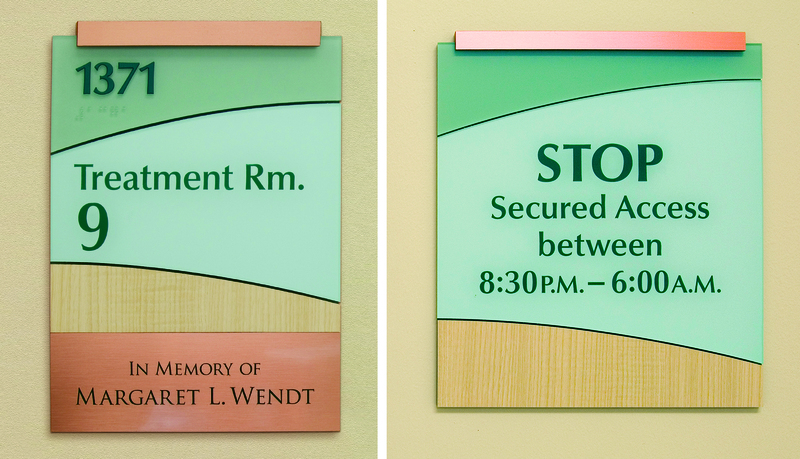 With the new emergency center, St. Joseph Hospital needed a new signage program to reflect the changes to the facility while complementing the architectural elements and maintaining the brand standards of the Catholic Health System. 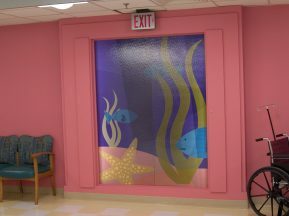 St. Joseph Hospital has been a long-standing client of ASI. 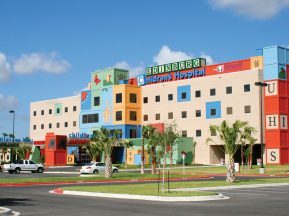 Since the early 1990’s, ASI has provided consistent quality and helped to maintain the brand standards of the hospital throughout the several changes to both the facility and the ownership. 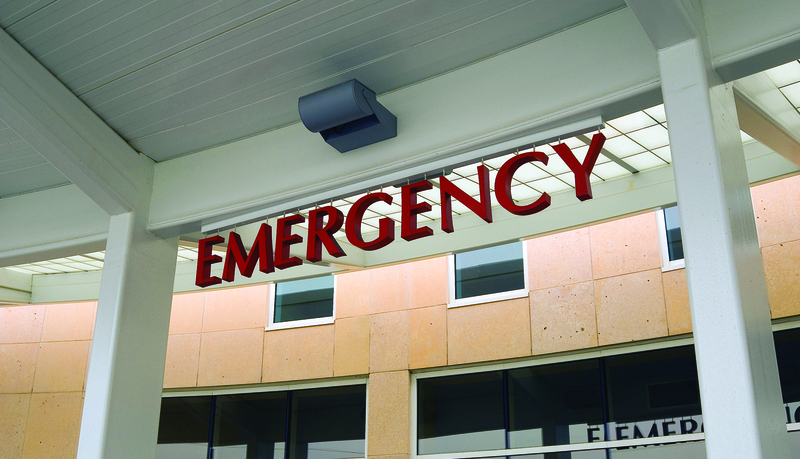 When the new emergency department was built, ASI was contacted by St. Joseph Hospital based on the positive results of their prior experiences. 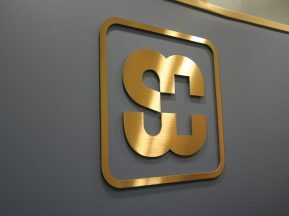 Because Catholic Health System is a philanthropic organization, budget was a major consideration. 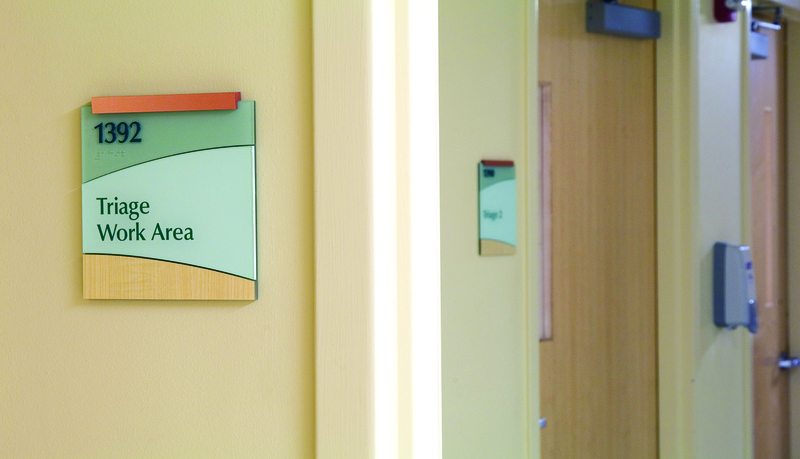 ASI presented a design packet for the interior and exterior wayfinding signage that offered low to high options from which the client could select. 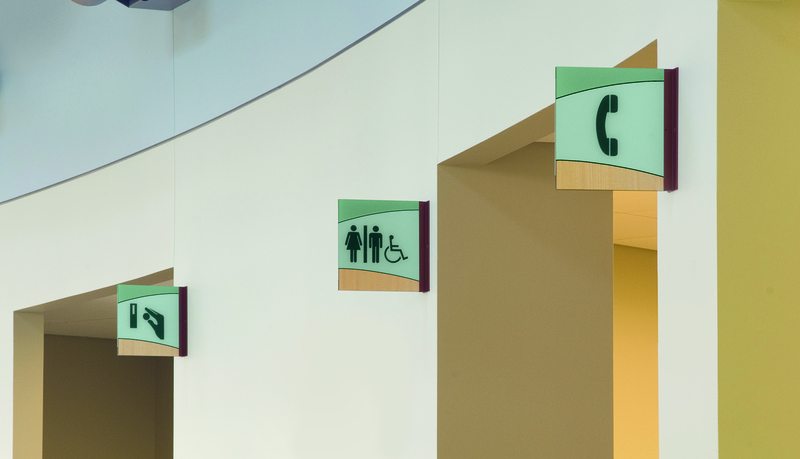 Each option incorporated the architectural elements and colors of the new facility while maintaining Catholic Health System’s brand standards. 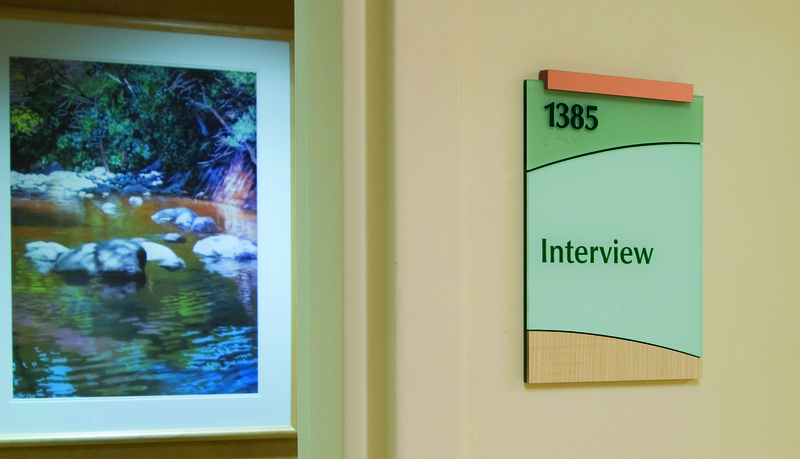 Based on budget availability and aesthetics, St. Joseph Hospital opted for a “middle-of-the-road” option that ASI was easily able to accommodate due to a thorough understanding of the needs and goals of the client. 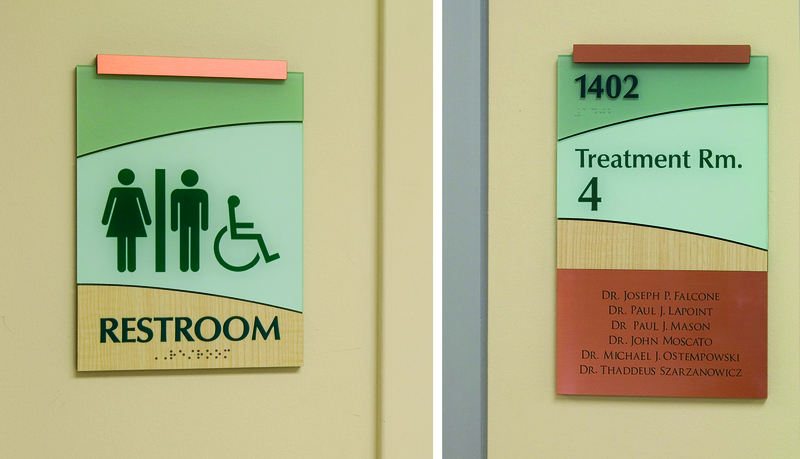 Additionally, because of the nature of Catholic Health System, the facility required a donor signage program that created a lasting first impression for visitors and stayed within budget. 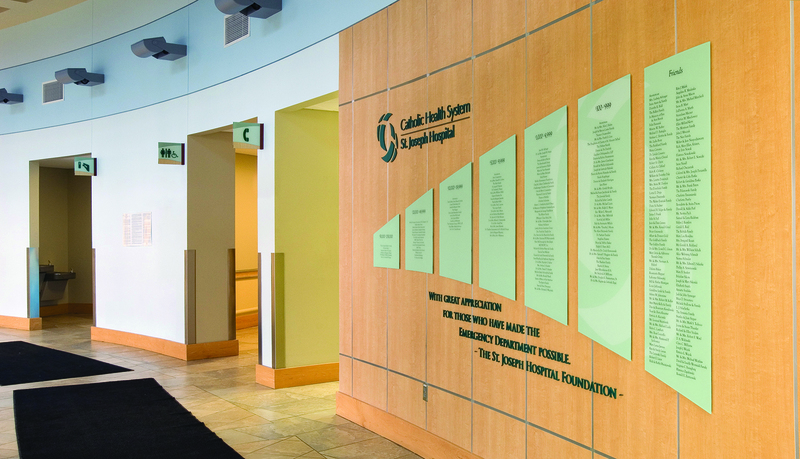 ASI designed a custom solution that included an accent wall that transformed a great donor recognition signage system into something truly memorable. 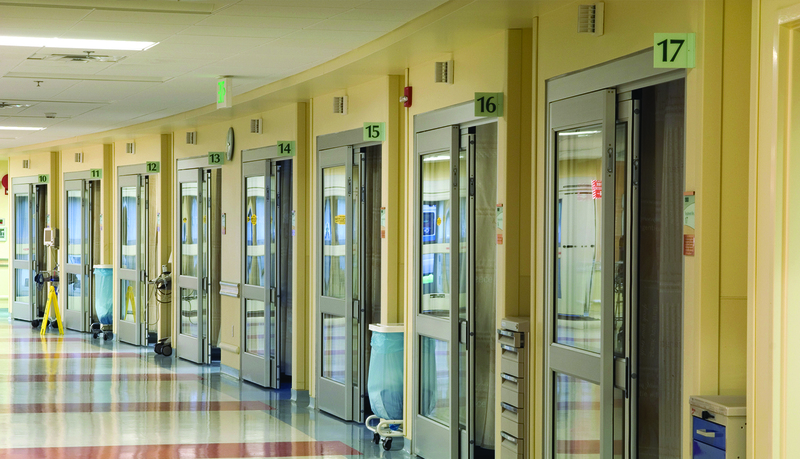 Even with the last minute details and updates that commonly occur with donor recognition systems, ASI’s experience and capabilities enabled it to successfully meet the needs of the hospital.